Continuing towards our goal of reviewing every book the the DC Universe Timeline, here’s the second book on our list: Tor Vol. 2. 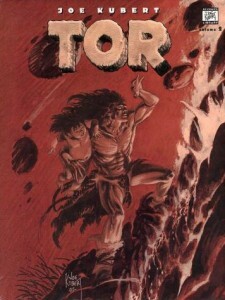 Like the previous book, this is a slightly oversized hardcover collecting the Golden Age Tor comics, primarily by Joe Kubert. Also here are the interludes where creators Kubert and Norman Maurer speak frankly to their readers as well as the lovely “educational” pin ups. One thing I forgot to mention last time was the presence of a few very short (two pages at most) text pieces – either adventures starring Tor or pseudo-scientific descriptions of ancient life and how the world came to be. There was one or two in the previous volume, but a higher ratio here. Finally, the back of the book is again a large (28 pages!) art gallery full of supplementary sketches, designs, and art from uncompleted projects. Altogether, the whole book comes in at 142 pages. The content is fairly predictable. While a lot of the last volume’s appeal was discovering a Golden Age character I was unfamiliar with, in this book I hoped to see him grow. The art is often spectacular for the period (and enjoyable for any reader!) but the stories started to feel a little obvious. 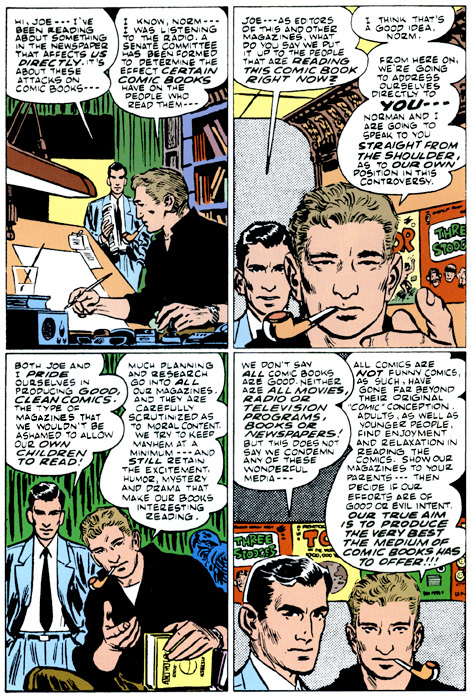 Of course, this is a problem shared with many Golden Age characters – the writers weren’t yet moving in the arcs we’re so used to now, so they simply had to tell an exciting story for the reader that month. Tor tends to meet a tribe, battle their oppressors or solve their problem through some quest, often while dealing with a backstabbing medicine man who rules through fear and misinformation. He often leaps/moves/battles with the strength/ferocity/quickness of a sabre-tooth tiger. At least one person dies. 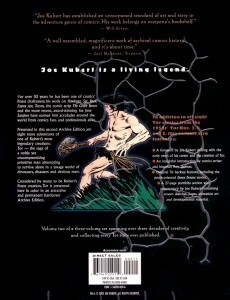 The foes are a bit more interesting, often tribes of deformed humans or human-like animals – less focus on battling versus dinosaurs in this volume. Of course, most stories throw in at least one beastly battle, if only to set the tone. There actually is some continuity with previous stories, but the most important link to Tor’s origin is told through a text piece – and while the pulpy writing isn’t terrible, without Kubert’s vibrant art I felt a little cheated. The stories can be fun (and probably better when read one or two at a time, instead of the whole book at once) but left me knowing little more about Tor (or his little monkey Chee-Chee, who often seemed to entirely disappear for several pages). The added context, and the fact that the creators are addressing it directly, makes this collection much more interesting. Likewise, the Danny Dreams stories felt much more brutal because of the presence of a young boy as central character. The world is shared with Tor, but a large man (even with a little monkey sidekick) watching his peers die feels very different from a young boy almost being eaten by a sea monster. Twice. And his friends were not so lucky. Even if in self defense, the thought of this primordial world turning Danny into a killer is much more disturbing than any of Tor’s violent conflicts. I like to think that this was intentional on the part of Toth and Kubert – Tor’s life is exciting but wouldn’t it be terrifying if you were trapped in it and couldn’t wake up? It’s a frightening thought, even with Toth’s artwork, which contains characters who can actually smile with a sparkle in their eye, compared to the deep browed denizens of Kubert’s panels. Not that this is ever a horror comic – it’s fairly easy to see that our main characters will always be safe, but with the serial nature everything else is up in the air. The material in the back is interesting. 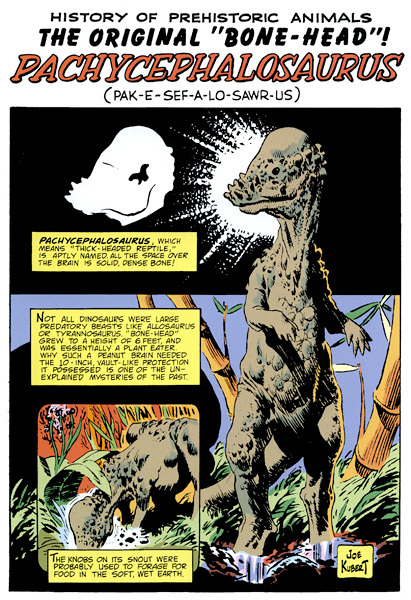 It isn’t always dated on the page, but it’s obvious from the drawing style that much of it was created well after the original Tor comics collected here. The work is heavy on detail and hatching, with modern storytelling techniques in the panel layouts. One idea of note consisted of a long, entirely speech free story – something that I think did end up in production eventually. Even with the added pages, though, the book feels slim, something it shares with the previous volume. 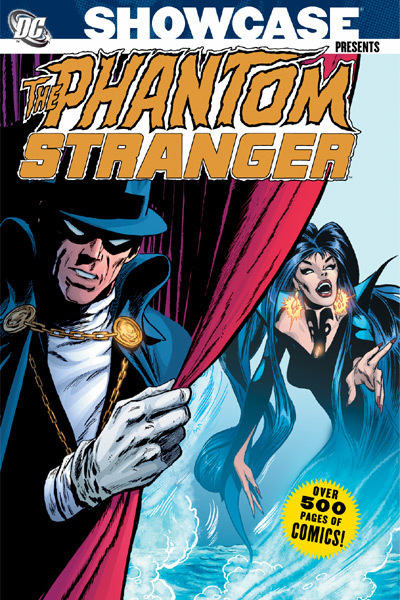 While the content is of good quality and unquestionable historical value, I often thought that all three volumes would have worked better as a single omnibus-style edition. Some of the extra material and introductions could be trimmed, but even with extras included the combined “Tor Omnibus” would weigh in around 456 pages. Very doable. So at 50 dollars each, these are overpriced. An ending note: My copy of this book also suffers from the same lamination problem on the dustjacket as the first copy. There are no wrinkles on the front this time, but a fair few on the back. I kind of think they look like dinosaur skin, though, so I don’t really mind. Some really great Golden Age material and some brilliantly fun art – but only three issues in a 50 dollar hardcover. That’s a serious hit. And the stories here just aren’t as intriguing as those in the first volume. Recommended if you can find it for a reasonable price. For Tor, I guess so. The rest of the DC Universe has forgotten him to history. Tor Vol. 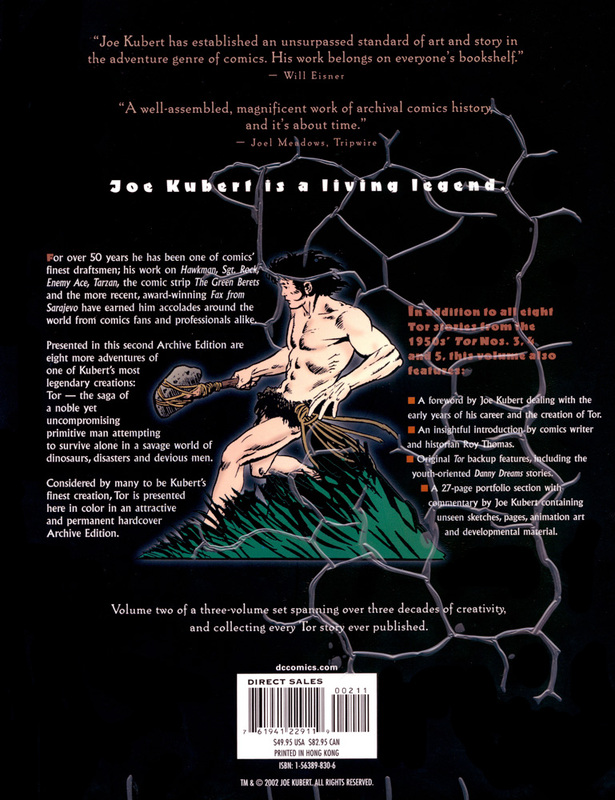 1 by Joe Kubert, previously reviewed. Tor Vol. 3, the last of this set. Tor is forgotten, yes. But he is not entirely gone, thankfully!